Based on exactly the same pool size as the Wanaka the ‘Mirror Line’ derives it’s name from the mirror reflection image that is produced by the water level. 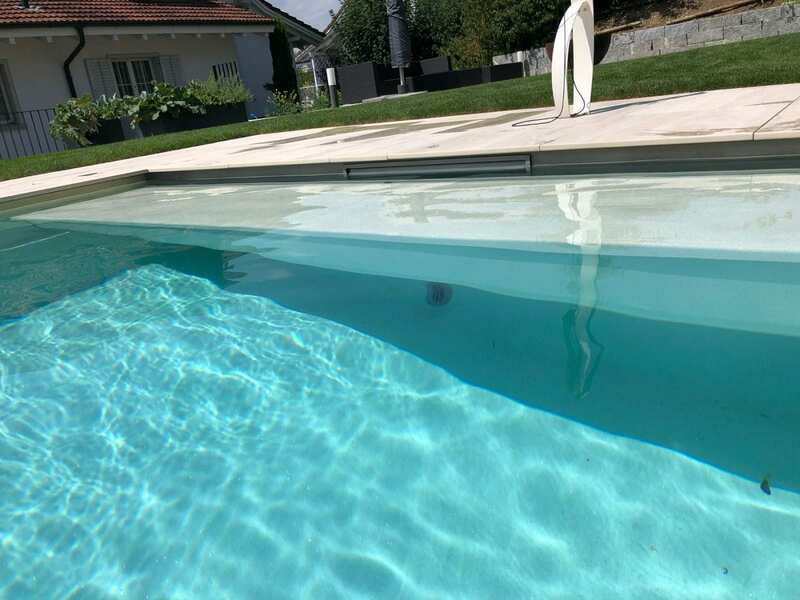 This unique pool incorporates an in-built water balance tank to produce a 30mm freeboard! 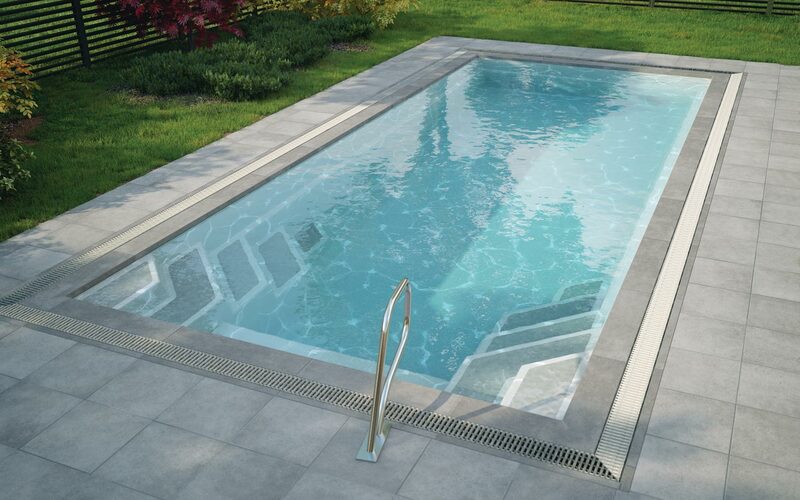 All Mirror Line Pools are supplied with separate overflow tank, automatic water level control, standard filtration and equipment pack! Includes slatted cover – Solar PVC.